Yellow areas are parts of the San Francisco Bay shoreline at risk of flooding by 2100 because of sea level rise (SLR) alone, while red indicates those areas at risk because of both sea level rise and local land subsidence (LLS), based on a new study by UC Berkeley and Arizona State geologists. If you moveto the San Francisco Bay Area, prepare to pay some of the most exorbitant home prices on the planet. Also, prepare for the fact that someday, your new home could be underwater—and not just financially. Sea level rise threatens to wipe out swaths of the Bay's densely populated coastlines, and a new study out today in Science Advances paints an even more dire scenario: The coastal land is also sinking, making a rising sea that much more precarious. Considering sea level rise alone, models show that, on the low end, 20 square miles could be inundated by 2100. But factor in subsiding land and that estimate jumps to almost 50 square miles. The high end? 165 square miles lost. Foster City, many areas of which could be flooded in 2100 because of rising sea levels (SLR, yellow), will be even more at risk because of local land subsidence (SLR+LLS, red). The problem is a geological phenomenon called subsidence. Different kinds of land sink at different rates. Take, for instance, Treasure Island, which resides between San Francisco and Oakland. It’s an artificial island made of landfill, and it’s sinking fast, at a rate of a third of an inch a year. San Francisco Airport is also sinking fast and could see half its runways and taxiways underwater by 2100, according to the new analysis. Now, subsidence is nothing new to climate scientists. “People have been aware that this is an issue,” says UC Berkeley’s Roland Burgmann, coauthor of the paper. 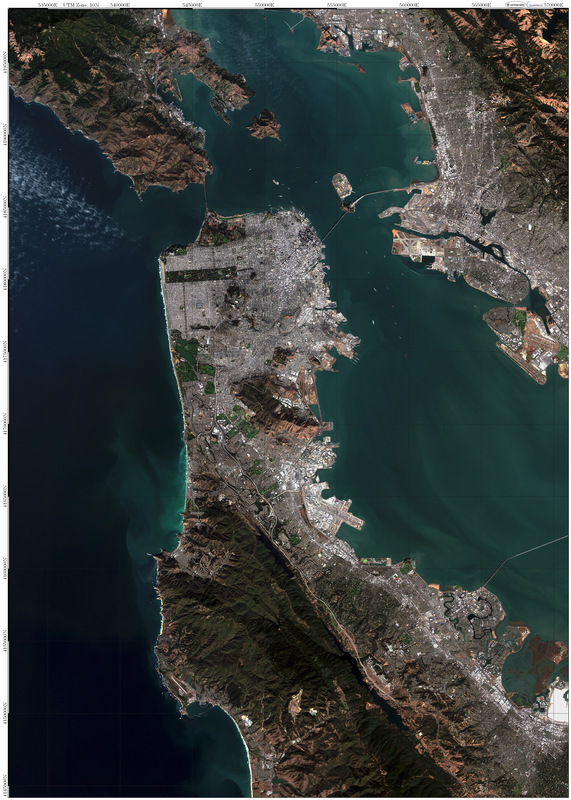 “What was missing was really data that has high enough resolution and accuracy to fully integrate” subsidence in the Bay Area. San Francisco International Airport’s runways will be flooded by 2100 because of sea level rise (yellow) and subsidence of landfill used to construct the airport (red). To get that data, the researchers took precise measurements of the landscape from lidar-equipped aircraft. They combined this with data from satellites, which fire radar signals at the ground and analyze the return signals to estimate how fast land is moving either toward the spacecraft or away from them. 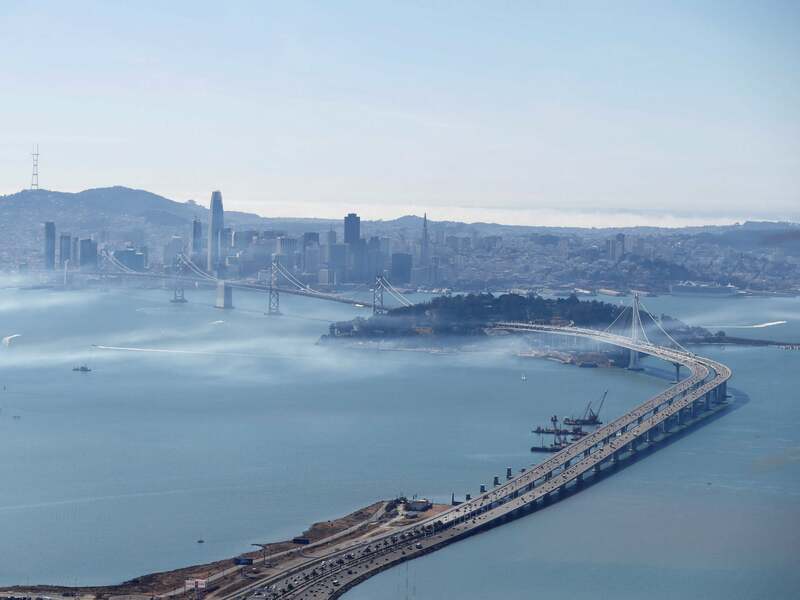 By comparing data from 2007 to 2011, the team showed that most of the Bay’s coastline is subsiding at a rate of less than 2 millimeters a year. Which may not seem like much, but those millimeters add up, especially considering a study that came out last month suggested sea level rise is accelerating. "You talk to someone about, Oh the land is going down a millimeter a year, and that can be kind of unimpressive," says the University of Nevada Reno's William Hammond, who studies subsidence but was not involved in the study. "But we know as scientists that these motions, especially if they come from plate tectonics, that they are relentless and they will never stop, at least as long as we're alive on this planet." Speaking of being alive on this planet: Humans have induced subsidence at an astonishing scale by rapidly depleting aquifers. Take the South Bay, for instance. “Parts of San Jose have been lowered up to 12 feet due to groundwater extraction,” says USGS coastal geologist Patrick Barnard. Fortunately, the extraction policies that led to those losses are kaput. But the same can’t be said for the rest of the planet, in particular for communities that are suffering drought exacerbated by climate change. Treasure Island is among the regions singled out by scientists behind the study. The developing world is nowhere near ready to deal with subsidence and rising seas, but neither is the developed world. This is a problem that defies human ingenuity. 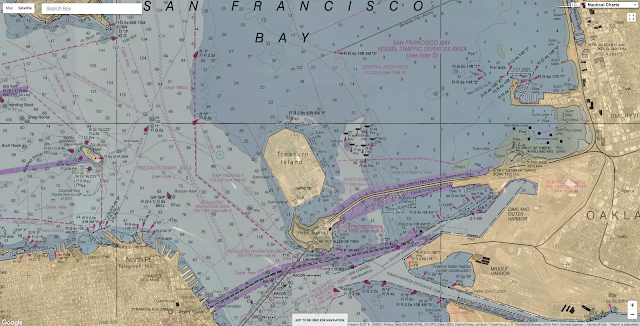 It’s not like the San Francisco Bay Area can build one giant sea wall to insulate itself. And it’s not like low-lying Florida can hike itself up, or New York City can move itself inland a few hundred miles. “There is no permanent solution to this problem,” says Arizona State University geophysicist Manoochehr Shirzaei, lead author of the paper. Save for keeping seas from rising in the first place. That, of course, would require a tremendous global effort to cut back emissions. But even conservative projections suggest future sea level rise could be dramatic. Which means we as a species have to seriously reconsider the idea of a coastal town, or in case of the Bay Area, a sprawling coastal metropolis. Because the sea is coming to swallow us, and there’s nothing we can do to stop it.